â€œWe are two foxes singing and having fun. 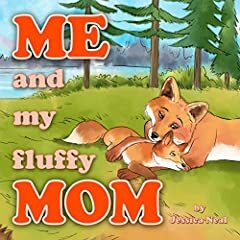 The loving story of a little red fox, Molly, and her mommy going on an adventure in the forest. Molly has never been outside their foxesâ€™ hole and today her mom wants to show her the forest and all it has to offer.Â Mollyâ€™s mom takes her to a special hidden place where she teaches her about senses and staying safe. This is a loving bedtime story for parents whoâ€™d like to enforce caution and safety into their childrenâ€™s lives with a sense of adventure.